This combo allows you to experience two popular attractions in Dubai - At the Top Burj Khalifa and the Dubai Aquarium along with an Evening Desert Safari experience. From gazing at Dubai from the 124th-floor observatory of the Burj Khalifa to gazing at tiger sharks at the aquarium, experience Dubai in a unique way. With these Burj Khalifa tickets, you will be able to skip the long ticket queue and head straight to the elevator that will zip you to the 124th & 125th floor where amazing vistas of Dubai await you. The floor-to-ceiling glass walls provide an amazing panoramic view of the city, desert, and ocean from a height of 452 meters! Step out onto an open-air terrace to take in the unparalleled sights of the city and beyond. You can stay here and enjoy the views for as long as you like. At Dubai Aquarium, you will come face to face with an incredible collection of aquatic life that consists of over 140 species including 300 sharks, rays and the largest collection of Sand Tiger sharks in the world. You can also experience other biomes such as the Rainforest, Rocky Shore and Living Ocean environments at the Underwater Zoo. You’ll come across dangerous piranhas, the giant catfish, playful otters, a Humbolt penguin colony and more. After your breathtaking experience at the Aquarium and underwater zoo, you will be picked up next day from your residence in a 4x4 and driven straight past the dominating buildings leaving the city behind into the heart of the Lahbab desert. Once you arrive at the desert, your driver will take you over the dunes for an adventurous 4x4 experience. You can also give sand boarding a try too. After your drive, you will be taken to a traditional Bedouin camp where activities such as camel riding, unlimited shisha, and henna painting await you. As the experience goes on, you will be entertained by traditional tanoura dance and fire shows, 2 different forms of belly dancing and a horse show. You can also dress up in traditional Arabic dresses that make for perfect photo opportunities. Finally, end your day with a delectable buffet which you can pair with unlimited soft drinks, water, tea, and coffee. With a wide array of vegetarian and non-vegetarian dishes to choose from, your buffet will perfectly cap the evening. Burj Khalifa general admission tickets (please pick a time slot). Hotel pick-up for the Evening Desert Safari the next day. Hotel transfers for the Burj Khalifa and Dubai Aquarium. At the Top, Burj Khalifa is open from 8:30 AM to 11:00 PM. Tickets are available for timeslots every 30 minutes. Please select the time on the next page. Children 2 years and younger do not need a ticket while a reduced ticket price is valid for children between the ages of 4 and 12. No large pieces of luggage are allowed inside, but you can check them in at the Secure Baggage Area, located near the entrance. On account of Prophet Mohammed's Birthday, there will be no entertainment shows and alcohol at the Safari between 19th and 20th November. The Dubai Aquarium and Underwater Zoo is open from 10:00 AM to 12:00 AM. Dubai Aquarium tickets are valid for the whole day you select for your Burj Khalifa visit and you can go anytime you like within the operating hours. Last admission is at 11:30 PM. The ticket is valid for a single entry. Your Desert Safari experience is scheduled for the next day as your Burj Khalifa and Aquarium visit as it's impossible to enjoy all 3 on the same day. Depending upon the pickup location you will be picked up anytime between 2 PM - 3 PM. You may directly get in touch with the operator for information on your exact pickup time. At the end of your excursion, you will be dropped off between 9:00 PM and 9:30 PM. The camp is located in and around the Al Aveer Desert. Infants below the age of 2 years are not allowed in Desert Safari. People of age above 70 years are not allowed in Desert Safari. Pregnant women will not be allowed to take part in the Desert Safari. Please note that the itinerary for both days is fixed. Good value combination. Good tour guide for Desert Safari. When you are traveling with family such kind of combos help, we saved a lot in discounts. I think the Dubai Aquarium is a bit overrated but the Burj Khalifa and the desert safari were everything that was promised. The safari especially surprised me with their hospitality. 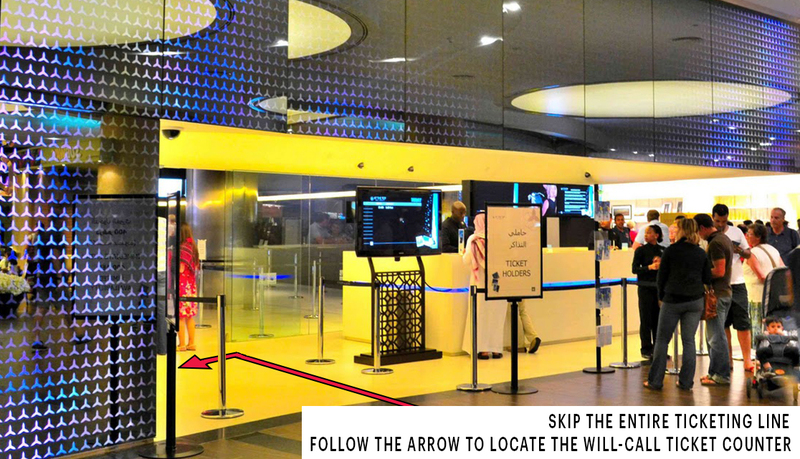 Please display the mobile voucher at the will-call ticket counter located at the At The Top entrance on lower ground level of the Dubai Mall. No need to print! Please carry a valid Photo Id for identification. Your Burj Khalifa tickets are only valid for the date and time slot that you selected at the time of booking. Please display the mobile voucher at the Aquarium ticket counter inside Dubai Mall. No need to print. Same barcode as the Burj Khalifa barcode allows you entry to the Aquarium. Please carry a valid Photo Id for identification. Your Dubai Aquarium tickets are valid for the same day you are visiting Burj Khalifa. You can enter the Aquarium anytime between 10 AM to 12 AM. Your Desert Safari pick-up will happen the next day. Please display the voucher on your mobile phone with a valid photo ID at the time of pickup. A 4X4 will pick you up from the hotel you've mentioned at the time of booking, between 2 and 3 PM. Enjoy basic entry at the Aquarium which will cover the tunnel and underwater zoo experience. Children under the age of 13 years, are required to be accompanied by an adult. You will need to visit Dubai Mall for Burj Khalifa and Dubai Aquarium. Burj Khalifa tickets are valid for the date and time selected during checkout. Aquarium tickets are valid for the same day. You can visit the Aquarium anytime between 10:00 am and midnight. Your desert safari pick-up will happen the next day. Pick-up time will be between 2:00PM and 2:30 PM and drop off between 8:30PM-9:00PM. Please provide hotel address for pick-up location at check-out. Your Dubai Aquarium tickets will be valid for the entire 1st day - day selected during checkout for the visit to Burj Khalifa. The average time it takes to enjoy At the Top is approximately 1 hour and 30 minutes however you are welcome to take your time. Please note that the average visit time may extend according during peak seasons and sunset times. Children under the age of 3 enter for free.